Successful PhD defense within the Doctoral College "GIScience"
May, 28, 2014: Bakhtiar Feizizadeh successfully defended his PhD Thesis, entitled "Uncertainty, sensitivity and fuzzy sets in GIS Multicriteria decision analysis”. Bakhtiar Feizizadeh convincingly presented and defended his research work. Prof. Blaschke served as the chair of the examination panel, Prof. Michael Leitner (Lousiana State University, USA) and Prof. Michael Hogson (University of South Carolina, USA) acted as discussants. After the presentation of the major achievements by the candidate a lively and challenging discussion examined the major achievements of the research work. Nearly 45 visitors followed this interesting defence, and some participants took the chance to actively engage in this discussion. This was the third defence in the context of the Doctoral College “GIScience”, since it was established in 2011. Bakhtiar Feizizadeh was an associated student of the DK. His defence offered him the opportunity to establish himself as an expert in the field of his work of research. With this degree Bakhtiar has achieved the next step in his career and we congratulate him to his performance. We wish him all the best for his future career when starting with his professorship at the University of Tabriz, Iran in fall 2014! 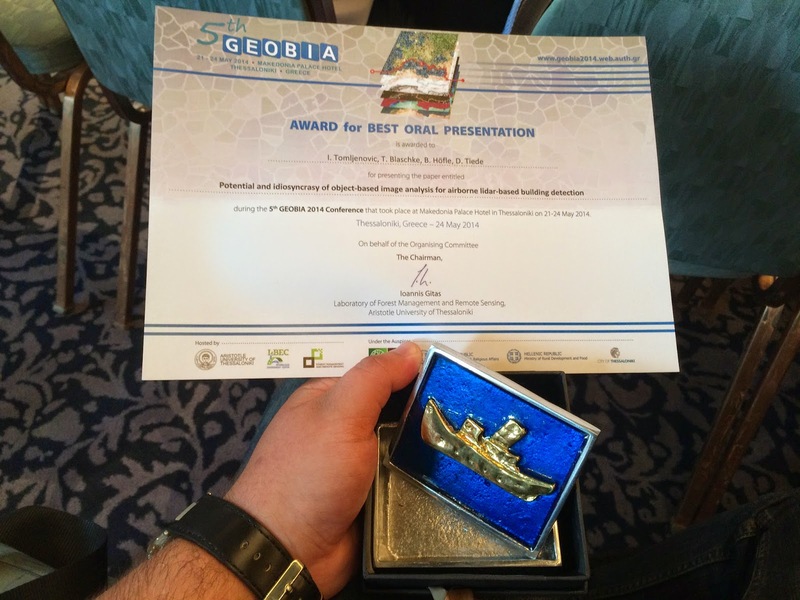 This year more than 10 highly qualified researchers represented the department of Geoinformatics – Z_GIS at the GEOBIA conference in Thessaloniki / Greece with challenging presentations. Ivan Tomljenovic, a PhD student of the Doctoral College “GIScience” gave his presentation about “Potential and idiosyncrasy of object-based image analysis for airborne LiDAR-based building detection. With more than 130 presentations overall, we are proud of Ivan having been the recipient of the “Best presentation Award”. We congratulate him to this success! The GEOBIA conference demonstrates the world-wide interest in the emerging field of Geographic Object-Based Image Analysis. GEOBIA events bring together the technical and scientific community of remote sensing and environmental sciences, promoting the development of GEOBIA concepts, methods and applications. More than 240 participants coming from the fields of environment and mineral resource management, agriculture, forestry and urban development, had the opportunity to communicate new research results, share technical information, network with fellow experts, and build communities of common interests. AGIT & GI_Forum 2014: Early bird extended! Early bird extended until May 28! It's paying off - register now and take advantage of the early bird fee - it's extended until May, 28! We are looking forward to your participation! Der Frühbucherbonus wurde bis einschließlich 28. Mai 2014 verlängert! Klug, H., Kmoch, A. (2014): A SMART groundwater portal: An OGC webservices orchestration framework for hydrology to improve data access andvisualisation in new Zealand. In: Computers & Geosciences, Vol. 69, 78-86. The English language Msc study programme in Applied Geoinformatics at the Salzburg University Department of Geoinformatics is attracting keen interest from students worldwide. We are following the philosophy that students first need to understand an academic domain well, then on a graduate level focus on Geoinformatics as a methodology helping to solve real world geospatial problems through interdisciplinary approaches. Admission is possible from a diversity of undergraduate backgrounds like Geography, Computer Science, Planning, Environmental Studies or Resource Management. An entry phase is designed to account for these different access pathways into Geoinformatics. Based on a modular curriculum this programme creates a rich and stimulating learning environment with an increasing emphasis on problem- and project-oriented learning. Early bird until May 25! Call for Poster until June 6! Submit your poster until June 6, 2014 and be part of our poster competition. Submitted posters are automatically included in the AGIT / GI_Forum poster competition. Jen Ziemke, Co-Founder & Co-Curator of the International Network of Crisis Mappers, will be speaking to us about how a network of activists emerged to help leverage crowdsourcing and geospatial analytics for humanitarian response, in 2009. She will discuss some of what the network has learned together over the past few years; the core challenges and issues that keep resurfacing, and what might be next in this evolving new area of inquiry. Jen has her PhD from the University of Wisconsin-Madison, is Associate Professor of Political Science at John Carroll University and Fellow at the Harvard Humanitarian Initiative. Shadrock will discuss various research and professional projects that he has been involved with - mostly for enumerating refugee populations using remote sensing - and the challenges that Shadrock has faced in different projects. While some of the challenges are technical, many of them are not, and this will lead him to question organizational and political issues around the sharing of geographic data. In a series of workshops at the National Taiwan University (April 2/3, 2014) and the Disaster Prevention Research Center (DPRC) at the National Cheng Kung University (April 7-11, 2014), the Salzburg team shared its expertise in computer-based landslide mapping with researchers and experts in Taiwan. The workshops created an ideal platform for sharing and exchanging knowledge on data, methods and product validation in semi-automated landslide mapping and object-based image analysis (OBIA) using multi-source remote sensing data. results comprising products such as landslide (change) maps and mapping routines were presented and discussed with the experts on-site. Field trips to the Baichi and Huaguoshan catchment provided an opportunity to obtain data that will serve in the validation process of maps that were recently produced by applying semi-automated workflows. Z_GIS looks forward to continuing the successful collaboration between Austria and Taiwan in the field of digital landslide mapping. 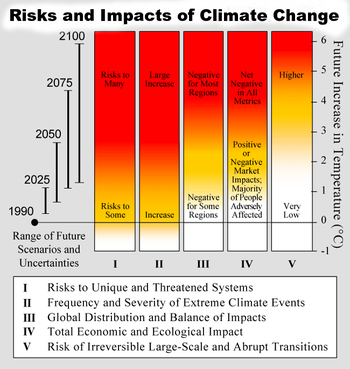 There is growing recognition of information need in all the complex phases of disaster risk prevention. All actors make their decisions and have their situational information need for doing so. The dynamics of situation development not only need to be observed, described, and modeled, but also the consequences on population and environment need to be anticipated, alternatives discussed and the typical dynamic recursiveness of management practice needs to be fully supported. We currently are far from satisfying implementations for such tasks. In this presentation, the principal needs of appropriate pre-disaster situation modeling, pre-implemented information availability, collection, analysis and flow, elements of risk information infrastructure, information mining in disaster big data, and formal process description are highlighted and presented for discussion.